Israeli Prime Minister Benjamin Netanyahu looks over during the weekly cabinet meeting in his Jerusalem office on July 14. Israeli Prime Minister Benjamin Netanyahu is expected to leave the hospital Sunday afternoon after he underwent a hernia operation overnight. The surgery went off without complications, his spokesman Ofir Gendleman said in a tweet. Israeli police are investigating a suspicious package found at the U.S. Embassy in Tel Aviv on Saturday. The package, which looked like a purse, was lying across the street from the back door of the building. The Syrian government is using chemical weapons against rebel forces, the head of the Israel Defense Forces' intelligence research departments said Tuesday. "In all likelihood they used sarin gas," Brig. Gen. Itai Brun said Tuesday in a speech at a conference in Tel Aviv. 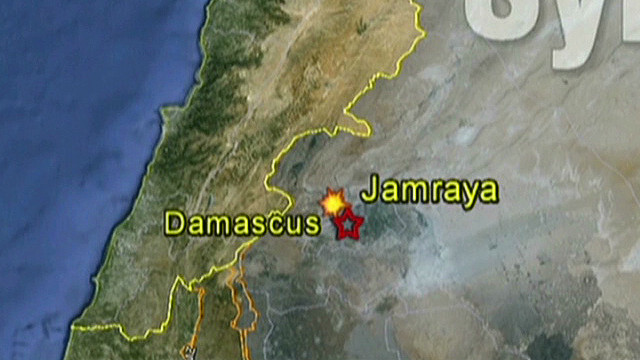 This comes as a civil war between the government and rebels rages across Syria - which borders Israel. Analysts believe the Syrian government may have one of the largest stockpiles of chemical weapons in the world. The supply is believed to include sarin, mustard and VX gases, which are banned under international law. Syria has denied the allegation. Israel conducted two airstrikes inside Gaza on Tuesday night, security sources in Gaza told CNN. 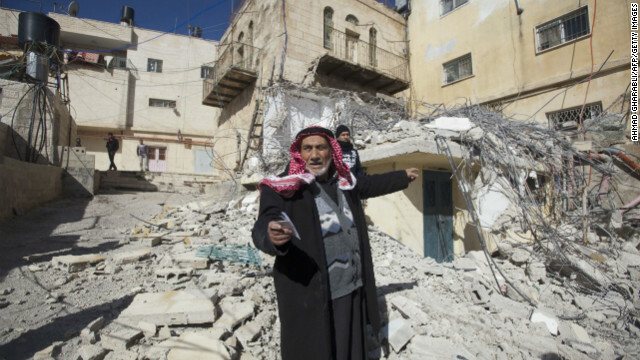 Israel Defense Forces confirmed the strikes, saying they were launched in retaliation for rocket attacks. 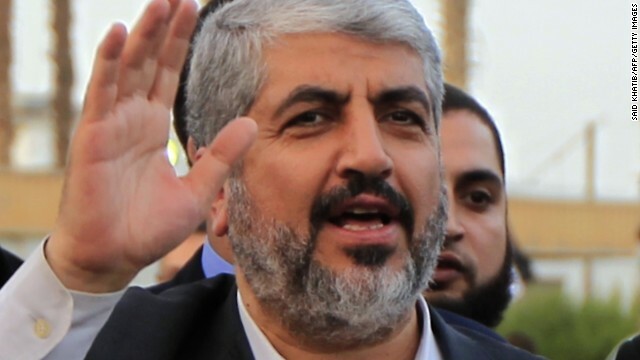 The Gaza sources told CNN this was the first Israeli airstrike there since a truce that ended eight days of fighting between the Israelis and Hamas last November. Medical sources said there were no initial reports of casualties. [Updated at 2 p.m. ET] Israel has amended its statement on Israeli Prime Minister Benjamin Netanyahu's apology to Turkish Prime Minister Recep Erdogan over the 2010 Israeli commando attack that killed nine people on a Gaza-bound flotilla. The new statement removes a previous mention of Netanyahu and Erdogan agreeing to normalize relations between the two countries and dispatch ambassadors. [Updated at 12:46 p.m. ET] Israel and Turkey also have decided to normalize their fractured diplomatic ties, agreeing to return ambassadors to their posts, the office of Israel's prime minister said Friday in a statement confirming the flotilla raid apology. [Posted at 11:28 a.m. ET] Israeli Prime Minister Benjamin Netanyahu phoned Turkish Prime Minister Recep Erdogan on Friday to apologize for an Israeli commando raid in 2010 on a Gaza-bound flotilla that killed eight Turks, two U.S. senior administration officials told reporters traveling with President Barack Obama in the Middle East. Netanyahu made the call during an airport meeting with Obama before the U.S. president departed Israel after his first visit to the Jewish state since taking office in 2009. Two rockets from Gaza slammed into southern Israel on Thursday morning, as U.S. President Barack Obama prepared to leave Jerusalem for Ramallah for meetings with top Palestinian Authority officials. 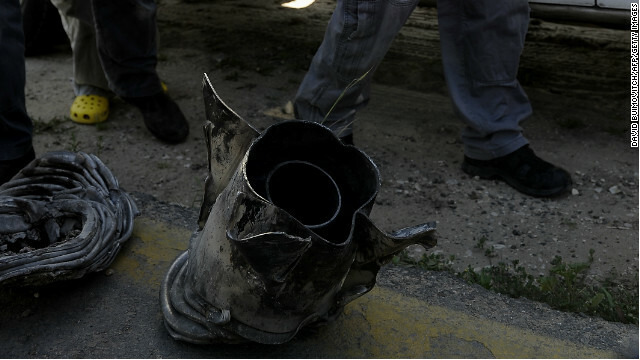 One of the rockets landed in the courtyard of a house in the city of Sderot, but no casualties were reported, Israeli police spokesman Micky Rosenfeld said. Israeli Justice Minister Tzipi Livni says "it is clear for us here in Israel" that chemical weapons have been used in Syria, and an international response to the crisis should be "on the table in the discussions between Prime Minister Netanyahu and President Obama" during the president's trip to Israel. When pressed during an interview in her Tel Aviv home, Livni wouldn't say whether there is evidence that the regime of Syrian President Bashar al-Assad has directed the use of any chemical weapons. But she said this development poses a direct threat to Israel, which shares a border with Syria. 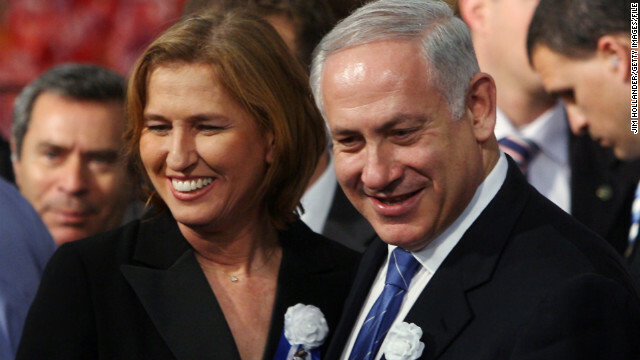 Livni told CNN that "the appearance is that it's not going to be only in Syria, but that Hezbollah can reach all these chemical weapons and use them against Israel in the future." For the first time as president, Barack Obama is visiting Israel as concerns about Iran's nuclear progress percolate. The trip is part of his sweep across the Middle East, which will include visits to the West Bank and Jordan. Obama's first stop Wednesday will be a visit to an Iron Dome missile defense launcher in Tel Aviv. 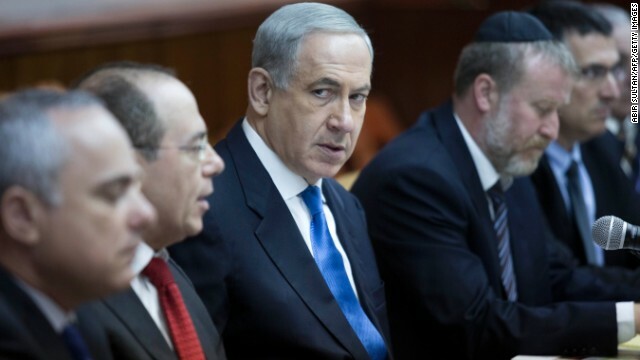 Israeli politicians have reached an agreement on a new government that excludes ultra-religious parties, which have almost always been a part of the ruling coalition. The main ultra-orthodox Shas Party will join the Labor Party in the opposition rows of the Knesset, Israel's parliament. It leaves the governing coalition with no party that traditionally trumpets the concerns of the poor. A statement by Turkish Prime Minister Recep Tayyip Erdogan has caught the attention of the U.S. State Department. U.S. Secretary of State John Kerry plans to express his strong concerns on Friday about the Turkish prime minister's remarks equating Zionism with crimes against humanity, a senior State Department official said. "Obviously we strongly disagree with that notion," the official said, calling the statement "offensive and wrong." He was referring to Recep Tayyip Erdogan's remarks Wednesday at a forum in Vienna, Austria. This comes as the once-extensive cooperation between Turkey and Israel on trade and tourism and even military issues has broken down. Israeli bomb technicians inspect the remains of a rocket fired from the Gaza Strip and near Ashkelon on Tuesday. A rocket fired from Gaza landed in southern Israel on Tuesday in the first such attack since a cease-fire took hold in November. Israeli police said it did not receive any reports of injuries from the rocket, which landed on a road outside the town of Ashkelon, about 15 kilometers (9 miles) from Gaza. Israel completed a successful test flight of its Arrow 3 interceptor system on Monday, the Ministry of Defense said in a statement. The system is designed to defend against medium-range missiles that could be fired from countries such as Iran. "The successful test is a major milestone in the development of the Arrow 3 Weapon System and provides further confidence in future Israeli defense capabilities to defeat the developing ballistic missile threat," the statement said. After a week of international controversy, Israel says it will investigate the case of an Australian-Israeli citizen known as 'Prisoner X' - a man whose detainment and death in an Israeli cell remain cloaked in mystery. A parliamentary committee announced the inquiry Sunday, saying it will look into all aspects of the case involving the prisoner, who died in December 2010. The announcement came the same day Israel's prime minister said an "overexposure of security and intelligence activity" could harm state security. The case of Prisoner X has sparked widespread debate in Israel over government censorship and the country's prison system. The prisoner's name has never been revealed by Israel. Syria's has the right to a "surprise retaliation" after Israel's airstrike, its ambassador to Lebanon is quoted as saying, and Syria's foreign ministry has summoned the head of the United Nations mission in the Golan Heights over the attack, Syria's state news agency reports. Ambassador Ali Abdul Karim Ali said Israel's airstrike Wednesday was on a research center, according to the Hezbollah official website Moqawama. A senior U.S. official on Wednesday, however, said Israeli jet fighters hit a Syrian convoy suspected of moving weapons to Hezbollah in Lebanon. It was not certain whether the U.S. and Syrian accounts referred to the same incidents.